This book came into my hands quite by accident! We (the grandpa and I) had been babysitting our lovely little ones for the weekend. My son an avid reader left for the weekend with the heads-up that there was a pile of books on his desk and to help myself. Ma, He Sold Me for a Few Cigarettes, by Martha Long would not have been a book that I would have purchased for myself. I am more of a mystery book, suspense book reader. But the title of this particular book intrigued me. It is an autobiography, one that is very difficult to read, both for the content and the language idioms it is written in. The Authors note inside the front cover sealed the deal. She writes, "This is a true story of my early childhood. Originally, I did not write it for publication. Instead, my intention was to rid myself of the voice of the little girl I had once been." So what made me pick up this book from the stack of many others? All I can say is I picked it up, read the Acknowledgements and moved onto the Author's Note. It was that note quoted above that sealed the deal. I knew I was going to read it and see where it took me. Written in the vernacular language of the Irish slums, it really is hard to get used to the cadence of the writing. But and this is a big BUT, it is a necessary evil along with all the swearing and blunt realities of this child's world. An In-depth Look at "Ma, He Sold Me for a Few Cigarettes"
There are parts of this book that will make you laugh and parts that will make you cry. The realities are something that we (middle-class people) would have a hard time wrapping our heads around. What is evident is the character strength of this young girl. Her mother (I give her that title only because she bore Martha) is a young girl herself, who hasn't fully developed her own character or had much opportunity to develop her mind. She is at the whim of any man who will pay her some attention. She is a teen with a baby. Her family can't help her and she can't seem to help herself. Her own self-worth seems to be wrapped up and dependent on having a man in her life. Any man will do, she's not fussy. Before long she has two children and hooks up with yet another man, who preys on her and her children. She finds herself pregnant again, Martha is only 5 years old and already taking care of her brother and more. "Jackster" the "father-figure" and I use that term very loosely too, beats up on the mom and Martha. He is a drunkard, down on his "luck" and totally abusive when life doesn't go according to his plan. This story is one that will leave you shaking your head at the brutality and yet admiring the strength of character in this little girl. Things go from bad to worse, she's angry with God, she's angry with her mom, she's angry with Jackster. She is very angry at the whole world. Yet through all this anger, she comes to be the strongest one. She sees with eyes that are so much more mature than her years. This book is a reality I had known nothing about and had a hard time understanding. I was fortunate to grow up in a country that made it easy for my parents to look after us. There were jobs and work for anyone who wanted to earn their way through life. There was also a moral compass, there were lines that would not be crossed. Not so much in Martha's life, with poverty and no drive to make life better, the moral compass goes out the window. Anything and everything in life is negotiable, for a few slices of bread or a few cigarettes. So many people today, are still in the midst of the same downward spiral of what life must have been like for Martha in Ireland. There are those in places that are being destroyed by factions that want power over the people at any cost. This book made me pause and think about all the young girls in the world. The girls in Africa and India, where they are married at 7 or 8 years of age. They will endure the same bonds that held Martha captive for so long. We are not a better world today than the world Martha lived in back in the 50's. I'm really glad that this book grabbed my attention. It is an emotional rollercoaster ride that will take you out of your comfort zone many times. Martha Long in trying to get that little girl out of her mind, has opened up a window to a world that I never knew existed. For that, I would like to thank her. I'm sure that it was not an easy book to write and I pray that she has found some peace. This book gave me reasons to be Thankful for where I live, for food, friends, and family that protect and hold me dear. It makes me stop and realize that not everyone is so blessed and that I have every need to be totally Thankful for all the blessings I have in my life. Brooklyn is a beautiful romantic period drama set in the early 1950's. We watch as Eilis, a very young Irish woman, prepares to leave her country and her family in order to build a life in America. We are present as she struggles with the trip, the transition, and finally with the definitions of home and family. Brooklyn is a movie that I will need to purchase as I find myself wanting to watch it again and again. 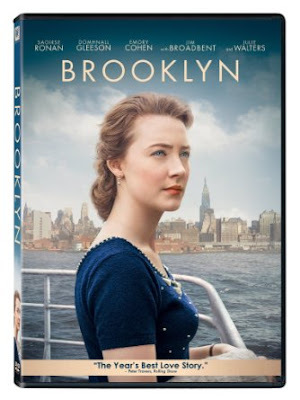 Brooklyn was released in theaters in the US on January 26, 2015 and released on DVD in 2016. The movie was directed by John Crowley and written by Nick Hornby. 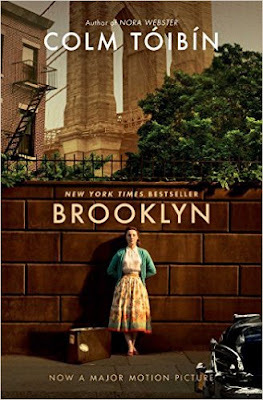 The movie was based on the book Brooklyn written by Colm Toibin. In the movie, we watch as Eilis learns that she is being sponsored by a Irish priest in America. On her first trip over, she is fortunate that her roommate is a more seasoned traveler and a more out-spoken woman who is not at all afraid to advocate for herself and Eilis. She gives Eilis helpful information about traveling by ship, how to combat horrible sea-sickness, and how to handle herself upon arrival at Ellis Island. Although a very quiet and gentle movie, there is enough tension to keep me glued to the screen. Eilis arrives at the boarding house and we meet the characters there. She obtains work at a department store, and we watch as she transitions from her job in a very small shop in Ireland to a huge department store in the US. We watch as she meets Tony, a handsome and hardworking young man, and meets his Italian family. During all of this, Eilis is balancing severe homesickness with feelings of success in America. Eilis is suddenly called back to Ireland. While there, we get glimpses of the conflict between her feelings of home and the familiar with feelings of doing well in America. She loves both Tony and yet has met a man in Ireland who quickly develops feelings for her. 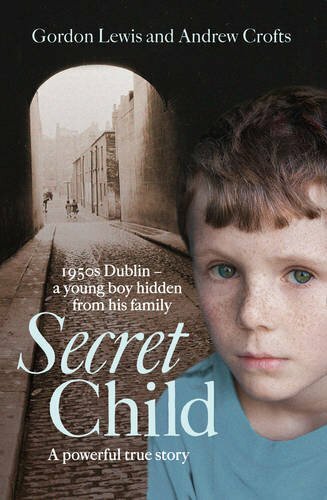 She has a secret, and as her mean-spirited boss in Ireland threatens her with this secret, Eilis has a decision to make. Will she make the decision that you want her to make? The film and/or the cast has been nominated for, or has won, more awards than I care to list here. A few of those awards and nominations are from the Academy Awards, Golden Globes, BAFTA Awards, Screen Actors Guild Awards, and many more. On Amazon, there are currently 2,119 reviews that result in 4.5 out of 5 stars. And on IMDb, over 75,000 reviews result in a rating of 7.5 out of 10 stars. There are some folks who refer to this movie as a "chick flick", not their cup of tea, and as a film with under-developed characters. I have to say that I agree with those opinions to a certain extent. Yes, it is a young woman's love story. A coming of age tale of a woman. It is also a movie, which is relatively short in length compared to books, and it is difficult to "know" the characters in a deeper sense with such a large cast. I would have liked to know more about the other gals at the boarding house. And I would have liked more reasons to dislike the difficult boss in Ireland. The glimpse into Tony's family was the briefest peek, leaving me wanting more. But these things did not distract from the movie for me. I still enjoyed the movie very much. So much so that I plan on reading the book. Many, many reviews commented on the excellent production design. From the streets and stores, to the automobiles, the dresses, and newly redesigned women's bathing costumes... we are whisked fully into the 1950's. And oh, that polka dot dress! I thought of the stories of my grandmother taking on boarders. And remembered photos of my mother in her dresses in those old black and white photos. Right down to the shoes - Brooklyn seems to have gotten the details right. I don't know why I did not take note when this movie was in the theaters. Although, I often wait for movies to be released on DVD before I see them. I randomly chose to watch this movie and I'm so glad that I did. I cried along at one point in the movie. As Eilis is serving a meal to many of the Irish men who literally helped build the US, but were now alone with the exception of the other gentleman gathered, one man stood and sang. Larla O' Lionaird sang a haunting, a cappella version of Frankie's Song. You can sample and/or purchase this amazing song here. 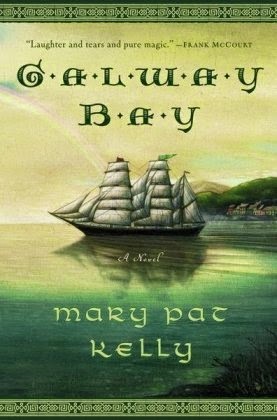 Galway Bay by Mary Pat Kelly - Galway Bay is another story of Irish emigration. While Brooklyn is about the choice of leaving Ireland in order to access more opportunities, Galway Bay is the story of families being forced out of Ireland. Famine did not leave them much choice to remain. The opportunity they were seeking was the opportunity to survive. Galway Bay is a story I will never forget. 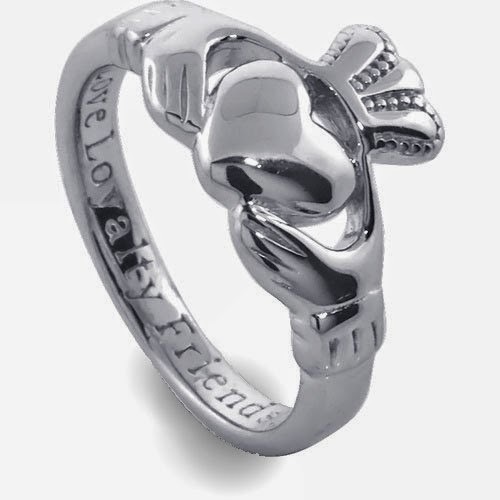 A Ring with a Heart and Hands -- Whether you know this ring design as a Fede Ring of Italian origin or later as a Claddagh Ring, you can be sure that the ring symbolizes deep loyalty and love. How one wears the ring matters and our Barbara Tremblay Cipak educates us on the wearing of the Ring with a Heart and Hands. As St. Patrick's Day approaches I am pulling out my copy of Galway Bay for a second reading. Yes, it was so good that I will read it again. And that is the reason I am writing this review. Galway Bay is a beautifully-written historical fiction that describes the horrors of the potato famine and ultimately the life and survival of a family and two countries. I happened across the novel Galway Bay one day when I was wandering around the local book store. I don't know of a way to describe this story of survival in a way that will do it justice but I will try my best. "We wouldn't die, and that annoyed them. They'd spent centuries trying to kill us off, one way or another, and here we were, raising seven, eight, nine of a famiy on nothing but potatoes and buttermilk. But then the blight destroyed the potato. Three times in four years our only food rotted in the ground." -- Honora Keeley Kelly as told to her great-granddaughter Agnella Kelly. As we follow Honora Keeley Kelly through her life, meeting her as a young lady preparing to enter the convent, we learn of the lives of the fishermen and tenant farmers in Ireland during "the Before Times". She is a young lady whose family supports themselves fishing Galway Bay "so calm and quiet. But I know your moods.Turn my back and you could be raging and rolling." Honora is determined to not be the wife of a fisherman and has decided to marry the church instead. She is determined and her family is proud; hoping that she is chosen. She is sure of her plan until she meets Michael Kelly. Honora and Micheal begin their lives together, a young couple deeply in love. Then the blight comes, year after year, and destroys their major food source. Many starve during the harsh conditions. Honora Keeley survives, but I’m not sure how since the odds are clearly against her. Penal laws continue to cause difficulties and the status quo level of poverty for tenant farmers jumps to a level of famine, starvation, and desperation. As I age, my interest in things Irish has increased. I guess it’s hard to think about where you came from when you are young and very busy trying to figure out where you are going. But now that I’m more mature I have time to ponder things such as where my grandparents, and their parents, and their grandparents came from. I know that my very distant relatives on my dad’s side perhaps immigrated to the United States due to fleeing religious persecution. I don’t know as much about my mom’s side. However, I do understand that at some point, they emigrated from Ireland. As a child, I remember the delighted twinkle in my grandmother's eyes as she told my mom of their trip back to Ireland. Unfortunately, I was too young to pay attention to her stories then and I couldn't understand why she was so happy to have kissed a rock with some guy named Blarney. As I age, my interest in Ireland and in my heritage grows. I am thankful to Mary Pat Kelly for sharing her family history and story in such an entertaining and educational way. Whether you are interested in the history of Ireland and early America or whether you love a good love story and the tale of a mother's love and desperate journey to raise her children, I think you will love this story.